There are so many false statements and opinions that can easily be countered in the newly-released Library documents that we could write for days. Check out some of the comments after the recent 27east.com article about the Library. 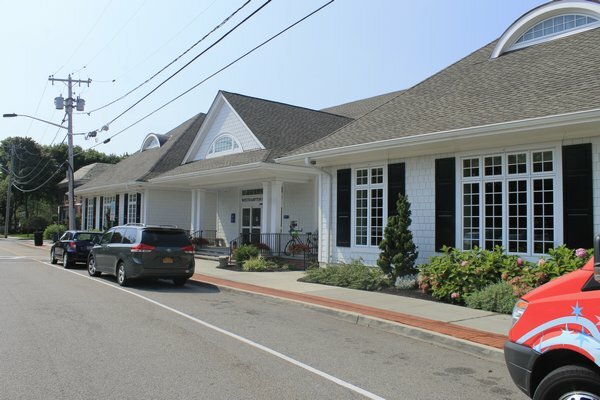 In defending an appointed board in the Westhampton Free Libraryelectedboardreport Final (page 6), the Library Board likens the Westhampton Free Library to “The American Red Cross, Peconic Bay Medical Center and the WHB Historical Society” among others, groups that receive “government subsidies” and have appointed boards. This is a false analogy. There is a separate earmarked line item on our tax bills specifically for the WHF Library. The American Red Cross isn’t listed on our tax bills. The above statement is taken from the top of the “Risk Management” section, pages 34-35 of the Handbook. The statement before the statement the Board chose to highlight says, “The public library is exposed to a wide variety of risks in the conduct of its business. These include natural disasters such as fires and storms, patron accidents of various kinds, negligence, willful misconduct and other criminal activity.” Nowhere in that section is library board governance mentioned. The Handbook recommends having proper insurance, careful record keeping and inventory management, paying attention to personal safety, physical facilities and loss prevention strategies with effective security and fire suppression systems. But let’s read that section as the Westhampton Free Library can’t have a publicly elected board of trustees. This one is priceless! On page 10 of the Report on the Selection of Library Trustees, at the conclusion of their “Prevailing Wage Law and Public Works” section, the Board writes, “These developments leave the Westhampton Free Library Board of Trustees with some degree of uncertainty concerning whether work done at the library would, in the future, be subject to prevailing wage.” Then, at the top of page 12, the Board writes, “Counsel definitively advised that the Prevailing Wage Law would not apply to the library even if it should move to a publicly elected board of trustees.” Our tax dollars are actually being spent on these absurdities in an attempt to disenfranchise the Library taxpayer. In denying Americans the basic right to vote, the appointed Board conjured remote and unlikely scenarios that might occur if we were “allowed” to vote for our trustees (italics ours). “Should our employees be deemed public employees, they would not be covered by the NLRA.” Guess what folks? They would be covered by another entity. “It is conceivable that a federal court could determine the employees are not protected by the NLRA and at the same time a New York court could determine the employees are not protected by the Taylor law possibly leaving our current employees with no protections.” There are certainly protections for the employees. And we could argue that possibly none of this would happen. Their statement is ridiculous. “Since the legal research has not yielded a precedent” though we used tax dollars to pay powerhouse labor attorney Richard Zuckerman to help us obfuscate, we seven trustees (six of us brand new) simply want to deny the Library taxpayer the right to vote. It’s plain and simple. We set forth to “prove” that which we already believed–that the board should remain appointed–with lots of omissions, opinions, falsehoods and mumbo-jumbo. “All we can say is that the change from an appointed Board to an elected Board is so new….” Really? For just three easily found examples, let’s look to three Suffolk County association libraries like the WHF Library and the years they moved to an elected board of trustees: South Country Library in Bellport, the 1950s; Port Jefferson Free Library, 1990; Rogers Memorial Library in Southampton, 1996. The Board makes it very difficult now to trust anything they write or say. The Board also queries in defense of the Library Board remaining appointed, “With few volunteers, paltry voter turnout at all levels of government and a politicized process likely linking candidate likability with library funding, is an election the best means of seating qualified candidates?” So, these possible circumstances are bad for library elections but can, of course, be said to exist for village and school board elections–but in those circumstances it’s okay? How about we start appointing our Westhampton Beach Village mayor?